The vote for the right-wing National Front party in France rose sharply in the 2012 presidential elections among voters who describe themselves as Jewish, AFP reported. A recent survey examined the Jewish vote nationally but also in towns where the community has a strong presence (Sarcelles, Créteil, Villeurbanne). 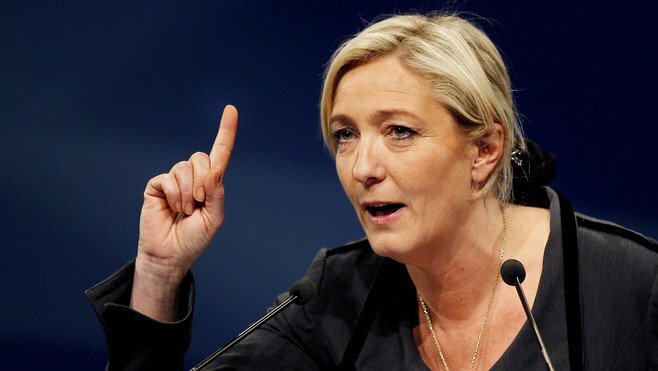 Marine Le Pen won 13.5% of votes among French Jews in 2012. Overall, she won 18% of the vote. Le Pen's father, Jean-Marie, a candidate in 2007, received only 4.4% of the Jewish vote at the time (as compared to 10.6% nationwide). Observers attribute the surge to the absence of negative remarks about the Holocaust in the speech of Marine Le Pen, coupled with Jewish anxiety over the rise of Islamic anti-Semitism. While Jewish voters in France were aligned with the Left during the 1970s and 1980s, since 2007 the majority of Jews have voted for right-leaning parties. Jews in France represent less than 1% of the population, or 260,000 voters.